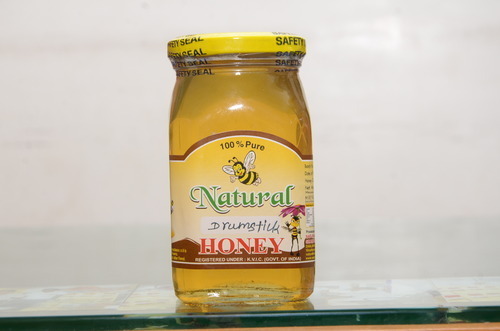 Our company has created niche in offering Drumstick Honey to the clients. This product is commonly used to enhance the taste of wide variety of dishes. Drumstick Honey is also used in processing of pharmaceutical and cosmetic products. Offered range is available for customers in different packaging options and other specifications. We SHAMEE BEE FARM has earned accolades for providing 100% NATURALHoney since the day of commencement in the year 2014. The company’s headquarter is located at Tamil Nadu, India and the ownership type is Partnership. We are indulge in offering wide assortments of natural honey which include Dry Fruit Honey, Bee Pollen, Royal Jelly, BEE Wax, Honey Bee and many more. These products are processed by employing advanced technology and machine under the observation of professionals in order to win the trust of clients. Offered ranges are commonly used as a home remedy for treating and healing respiratory ailments and throat infections. Our products are best known for good quality and high anti-microbial properties and they are available in various packing options. The products are processed at our classy processing unit under the strict vigilance of our deft professionals in tandem with the set industrial quality standards. Honey is a natural health promoting medicine that helps to improve strength, stamina, vigor and vitality and are commonly used to enhance the taste of wide variety of dishes. Therefore, we are named as one of the leading industry in the market by providing quality natural honey at pocket friendly prices.